Whole food diet - this means incorporating only those food which nature made and they are still in their whole state. Packaged, processed, refined foods have to go. See the link for more details. Move your body daily. Muscle, body movement, helps circulation of blood, lymph fluids, life force energy, digestive tract contents, etc. Your body functions better when you move. Scroll down this link to read about the 23 benefits of exercise. Drink pure water and herb teas. *Herb tea recipe for fertility below. Cycle your body with nature because you are nature! 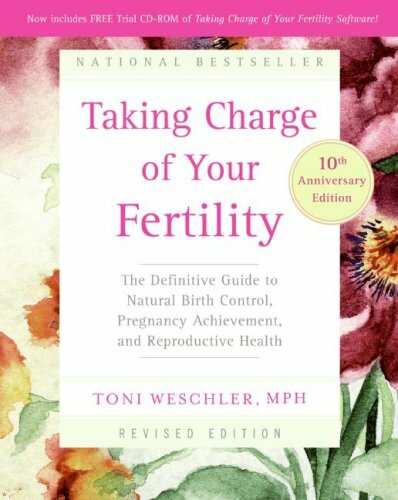 For a great book about bringing you home to your magical menstrual cycle, click here. Sleep. Get to sleep before 10 pm and get 8 hours of deep rest. Your body functions better when it is well rested. Healing takes place when you sleep! Get chemicals out of your life: chemical medicines (prescription or over the counter), cosmetics, soaps, shampoos, cleaning supplies, body fragrances, deodorants, etc. If you would not eat it (whole foods here...) you do not want it on your body, soaking in through your skin. Look at life through rose-colored glasses. If you choose to be happy, life will look and feel differently to you. A happy body, mind, and spirit are healthier, more fertile. Happy replaces stress with relaxation. Relaxation means fertility flows. Get outside for fresh air and sunlight. Do that movement outdoors! The body's rhythms are better synchronized when you are enveloped in fresh air and natural light every day. Your hormones will love you! Take whole food supplements, not synthetic vitamins. Surround yourself with positive, happy people. Happiness begets happiness. The body heals when it is happy. Want more details about putting these choices into action in your life? Give me a shout. Buy about 1 ounce of each, it will last you a couple of weeks. Bring water to boil in pot. While water heating, measure out 1 TBSP of each herb. Shut off heat, keep covered. Add herbs to hot water, stir quickly and re-cover pot. Strain in AM into the quart jar. Drink 1 cup 4 times each day. Morning, noon, afternoon, evening. You can also add the herbs to the jar and pour the hot water over them, cover, and steep in the jar. In the AM, pour 1 cup into a tea-cup and drink. Continue to do 3 more times each day so you are drinking the whole quart daily. Post on making herb teas from my Wise Woman Nurse® website. PS Bonus Fertility Healer: YOGA! Check out a quicky article. My goal is supporting your healing path!